Watch as KCTV5 features Conrad’s Restaurant and Alehouse in Liberty, MO for their studio kitchen segment. Brett Schafersman shows how to make the Creme Brulee dessert that is a CONRAD’S customer favorite. We’re excited to be chosen for this privilege. After you’re done watching this video, come out see exactly why were selected! 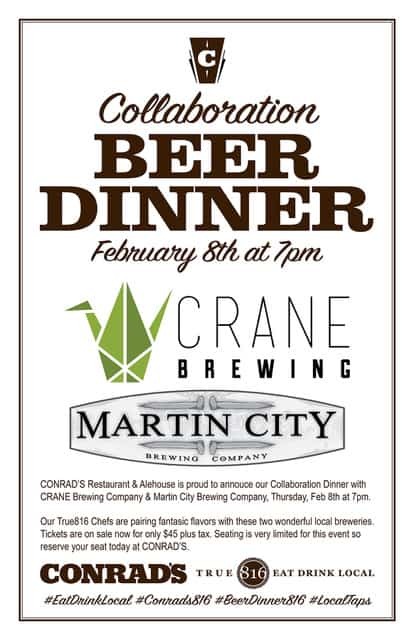 CONRAD’S Restaurant & Alehouse is participating once again in Kansas City Restaurant Week Jan 12-22. 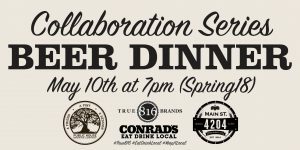 Show some local love and make CONRAD’S one of your stops this year. Starting in January, we will be changing our hours of operation and continue to be the place where “good people get together” and offer an atmosphere where people can relax & enjoy conversation, good food, great cocktails, wine and a wonderful craft beer selection. 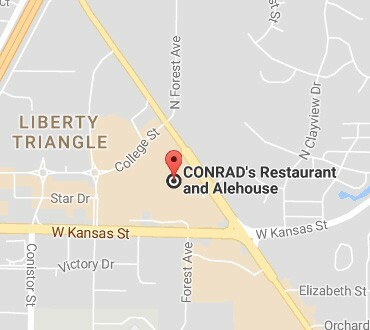 Fans of bar and pub trivia in Kansas City are going to love the weekly SpeedQuizzing trivia game that happens every night at CONRAD’S Restaraunt & Alehouse in Liberty, Missouri. 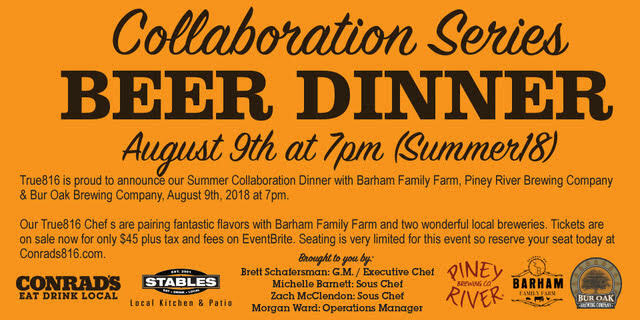 If you and your friends are looking for a fun challenge in a great atmosphere with an impressive beer list and food menu, then you need to be here every Wednesday night at 8 PM! SpeedQuizzing takes pub trivia to the next level. It utilizes your smartphone, so there’s no pens, paper, or cheating. Music, movies, TV, sports and current events all get covered, plus five different picture categories, music montages and Speedrounds for Tie Breakers makes Tournament Night Trivia the Best Bar Trivia in Kansas City! SpeedQuizzing host Charlie Argrusa is one of the best in the area, so if you haven’t seen him in action get your team together and join us for free and fun trivia this Wednesday night!